The increasing convergence of voice and data has been going on for many years. The shift towards Voice over IP (VoIP) has already started! In some countries such as Germany, there has been going on a discussion about when to decommission the public ISDN networks. The end of ISDN and analog telephone connections is approaching. In Germany all current landline connections will be shifted to IP based connections by the end of 2018. All data, whether voice, email or video, will be exclusively transmitted by the Internet Protocol IP. Having only one technology for all telecommunication networks requires some essential changes. Network providers take advantage from the benefit of a simpler and more cost-effective network structure. 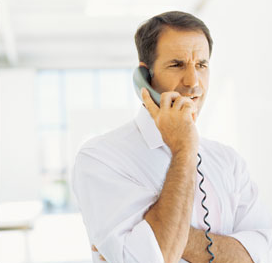 Numerous companies have enjoyed (and still do) the advantages of ISDN services, such as X.25, FTAM, CAPI or OFT. Nevertheless, let’s do not forget the most basical part of telephony which is without any doubt the voice quality. ISDN offers an excellent voice quality and of course no one who has already enjoyed a very high quality wants to move a step back. As a consequence the voice quality of VoIP has to be the same as of ISDN (at lease more or less) and a solution has to be found in order to ensure the quality. Quality of Service is the magic word and guarantees exceptional voice quality when you use Voice over IP technology. Professional routing solutions always provide QoS functionalities which give, for instance, voice traffic a higher priority for making sure that there is always sufficient bandwidth for voice applications. It classifies the streams of data and a sophisticated traffic management gives preference to voice data over e-mail data within a VPN tunnel. This results in exceptional voice quality even when bandwidth usage is at its highest. In order to provide maximum security, a professional integrated IPSec implementation uses preshared keys as well as certificates. Voice quality is only one challenge to cope with when the final shift to ALL IP will happen but it is certainly one of the most fundamental requirements for anybody picking up the phone. The strict separation between the competence areas data and voice is history and ALL-IP will be no longer a vision of the future. In this current transition phase, it is absolutely necessary to have a strong partner with multidimensional know-how because ALL IP not only brings two worlds together but merges them. Teldat is in an excellent position because two of the manufacturer’s core competences are data and voice. Therefore Teldat is a strong partner to have when entering the new world of ALL IP.